I stumbled on ArtStation’s website this year, my eyes were blowing by all the great artworks there and quickly realized that they are lacking some help on the app side. I took it as good design excise. This might sounds boring, but it’s very important for designer to align with the business goal. We all want to design something awesome, but how might we make user come back every so often. They got tons of great arts, I mean tons and tons. 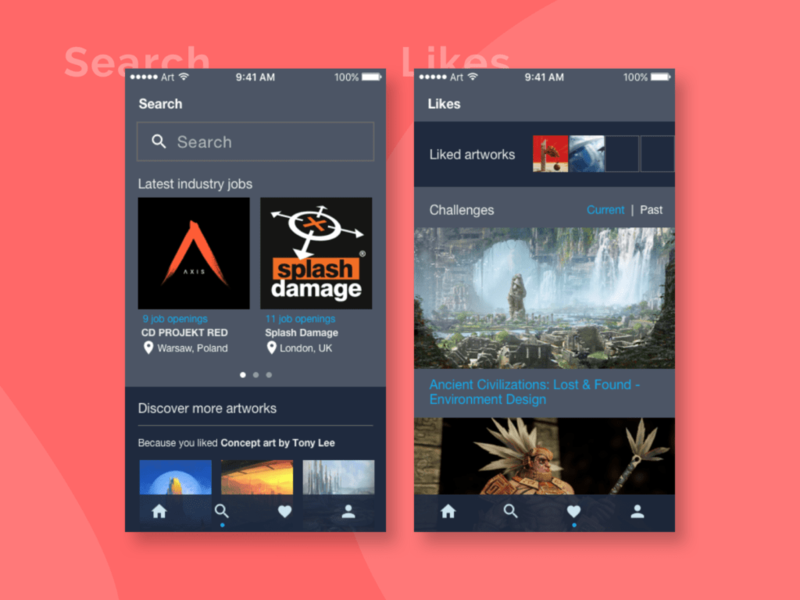 How can I re-design an app that allow user to quickly find what they looking for? To allow user to view the job post through mobile app, that’s also the only CHARGE service I found from ArtStation. 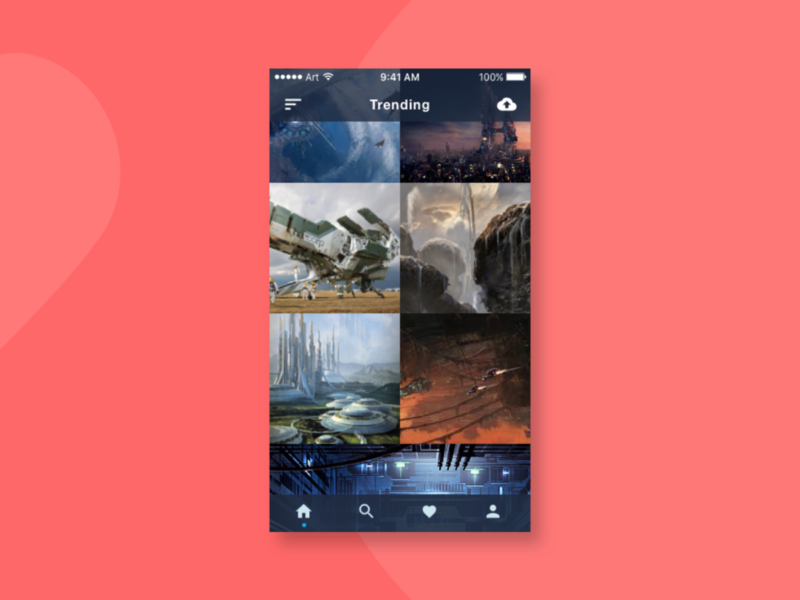 Apparently the challenges ArtStation post are very popular, a lot of users do participate and comment on each other’s work, the challenges feature does bring a lot of engagement to the ArtStation. 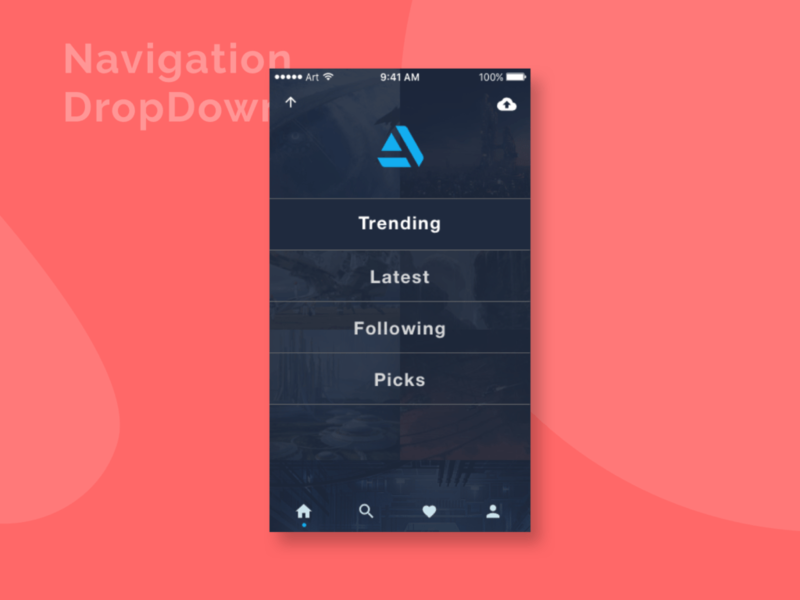 Bringing the most high-level and most frequent used navigation item to the home page, minimize the menu item to give delightful experiences. Putting the job postings right on the top section of search to help the exposure, followed by art categories. If user doesn’t know what keyword to search, they can start dig into this page.